Did you see our coverage of the Stratus and Stratus XL for Apple/i-Devices devices and asked yourself, “Why only Apple?” Well here’s Steelseries‘ answer to “Why not Windows and Android?” The Stratus XL is the larger and more-ergonomic version of the Stratus wireless controller. 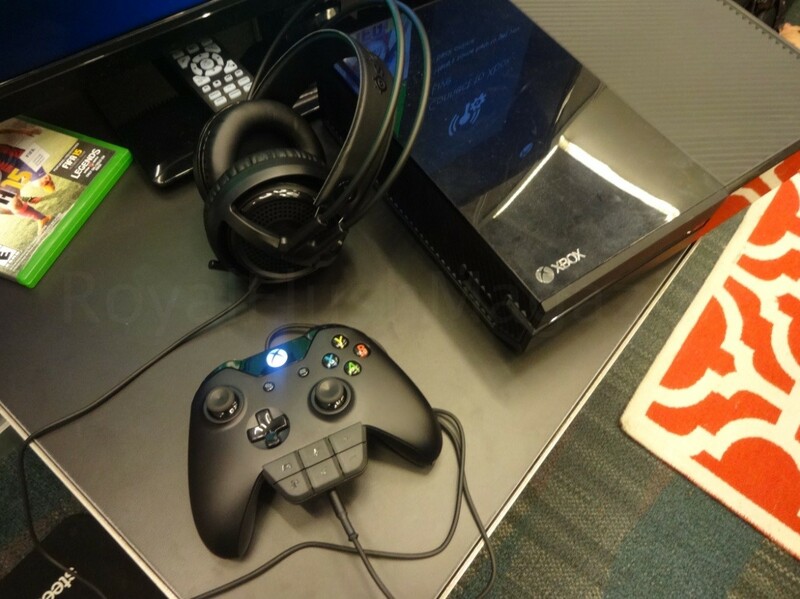 It has the shape of an Xbox controller with an analog stick layout closer to that of a Playstation controller. You have dual analog sticks, a D-pad, four front-facing action buttons along with a total of four shoulder buttons – two bumper buttons and two triggers. There are also three additional front-facing buttons to assist with navigation. The four LED’s act as both a battery life and player indicator as the controller can be used in 4-player setups. The Stratus XL is supported by the customization engine that enhances the bulk of Steelseries products, the Steelseries Engine. Tweak analog stick dead zones, trigger sensitivities, and other options for when your Stratus XL is connected to a PC. The controller will run for about 40 hours of gameplay on AA batteries. The Stratus XL Wireless Gaming Controller for Windows & Android will start heading your way in July 2015 for $59.99. At the top tier of the Steelseries console headsets comes the Siberia X800 for the Xbox One and Siberia P800 for the PS4. Steelseries’ wireless solution for your Xbox One and PS4 needs, brings you Dolby 7.1 virtual surround sound and volume,5-band EQ, ChatMix, LiveMix and other controls directly on the headset. Although when chatting, you will still have to use a 3.5 mm cable to connect to the controller. ChatMix gives you control over the balance of voice and in-game sound while LiveMix handles that balancing automatically whenever voice is detected. 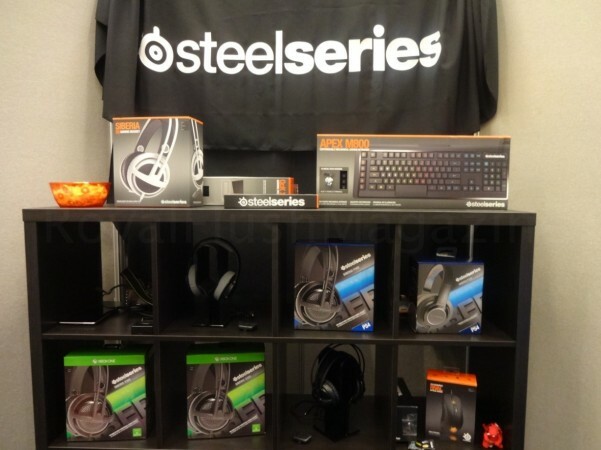 The Steelseries Siberia X300 for the Xbox One and the Steelseries Siberia P300 for the PS4 are the new Steelseries mid-tiers for console play. These units are practically a carbon copy of the Siberia V3’s that we reviewed (and liked) back in 2014. They excel in comfort and sport the iconic Steelseries suspension headband. They house a retractable mic and a mute switch on the back of the left ear cup, making the units into handy all-in-one travel companions. We successfully tested the V3’s with the Xbox One Stereo Headset Adapter in our review, just to do it. The difference now, at least with the X300’s, is that the Steelseries Xbox One headsets will come with Steelseries’ own headset adapter for use with their units. When going into specifics, we get to cheat here and link you to our review of the V3’s where we go in-depth as to the comfort and performance in standard use, from the headset’s standpoint. The mid-tier Steelseries Siberia X300 for the Xbox One and Steelseries Siberia P300 for the PS4 will go for $129.99 and $99.99 respectively. The once lowest end of the Siberia PC headset line up comes back repurposed in the form of the Steelseries Siberia X100 and Steelseries Siberia P100, for the Xbox One and PS4 respectively. For the gamer who wants something less expensive that works, the X100 and P100 comes prepared for use with your console or your mobile device on the go. The X300 and P300’s above share this trait, but they don’t share the even lower price points of $69.99 for the X100’s and $49.99 for the P100’s. The Siberia X100 will also come with Steelseries’ stereo adapter for connection to your Xbox One controller. Each of these headsets will be available at retailers soon and will be exclusive to North America. So don’t be surprised if you start seeing any if not all of these headsets at a Best Buy near you. Keep an eye out for all these products and more at SteelSeries.com. LEGO® Minifigures Online – The Review!Free Music From The Greatest Japanese Video Game Composers!